So you got a new Elf on the Shelf, huh? 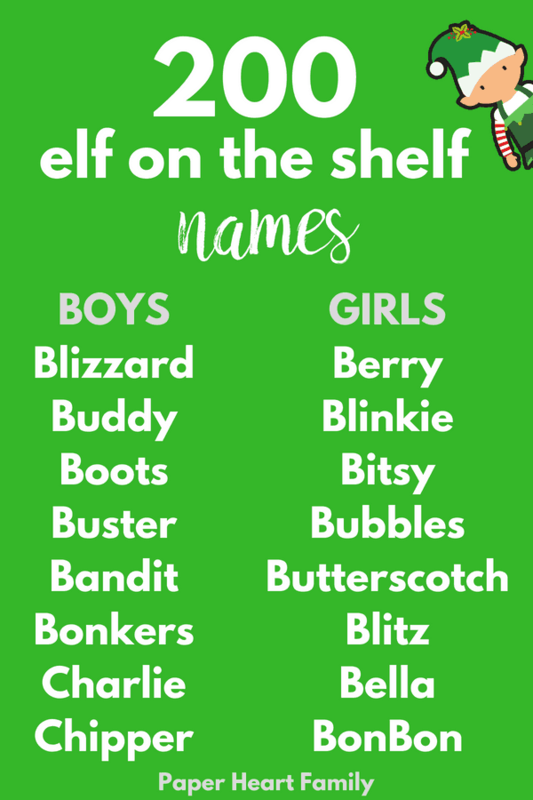 Now you definitely need an Elf on the Shelf name, an elf name printable to go with it and these awesome Elf on the Shelf ideas. It’s an exciting time! And naming an Elf can be tons of fun. There are so many options! And while it is nice for the kids to name the Elf, if you give your child total free reign to name the Elf on the Shelf whatever they please, you might be stuck with sometime preposterous. Our Elf is named Star Pony. Yeah. Why not make naming your Elf on the Shelf a game? Check out my Elf on the Shelf Planning Calendar, which contains a printable Elf on the Shelf name bracket game. Get the whole family together for the event! Unfortunately, I gave my daughter the freedom to, without direction, name our Elf. If I had had an incredible list like this one, I could have given suggestions for her to choose from. Because kids aren’t the best at naming things. Here’s to finding the perfect names for the Elf on the Shelf. P.S. If your elf hasn’t arrived yet, check out this free printable Elf on the Shelf Introduction Letter. Elf on the Shelf names- boy edition. 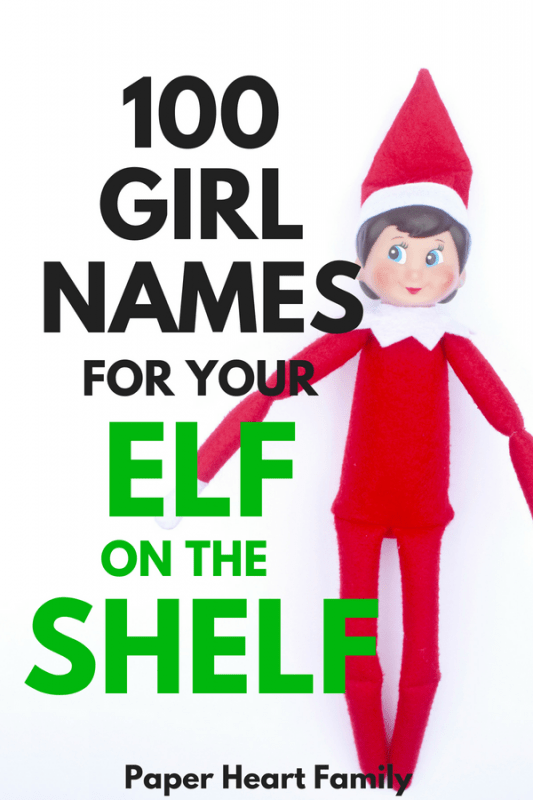 These Elf on the Shelf girl names are adorable, and very Christmas-y! 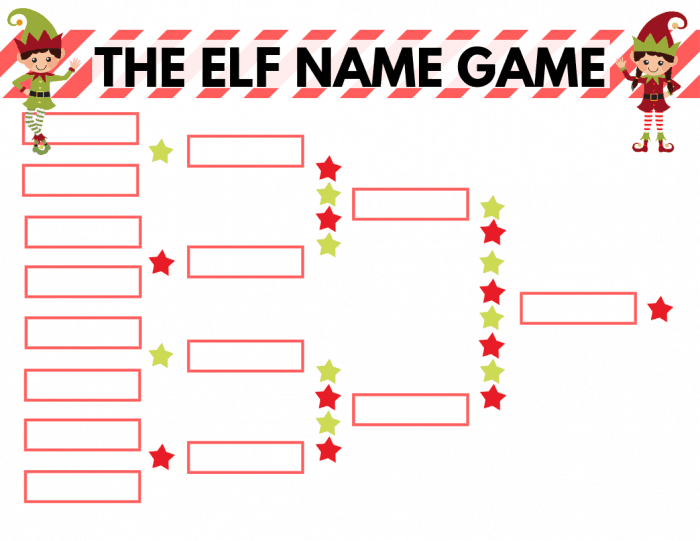 Make sure to subscribe to get your Elf names printable instantly! So did you pick a cute Elf on the Shelf name? I’d love to know what it is in the comments! Check out how to make your kid’s Christmas even more magical with ways to talk to Santa.